Magic Johnson Enterprises, founded by Earvin “Magic” Johnson in 1991, works to develop programs and support community-based organizations that address the educational, health and social needs of ethnically diverse, urban communities. 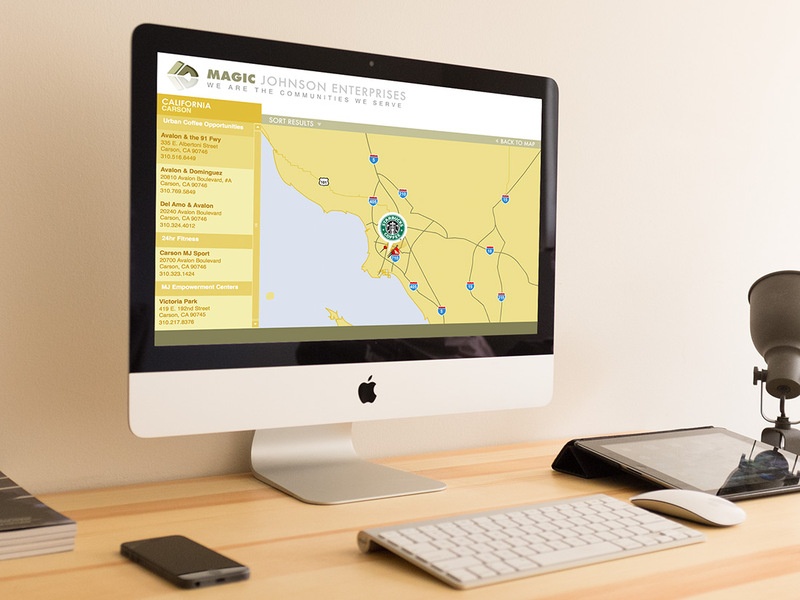 MJE was in need of an interactive map for their new website that would display the abundance of community based businesses they owned throughout the United States. We stepped up and delivered a solution that blew their minds. The user is initially presented with a fully interactive map that highlights the various states in which Magic Johnson Enterprises has invested in. Here are some of the creative animations we used to assist the user through their search. Once the user selects a state and city, they are able to see all of the different franchises that MJE owns in that area.